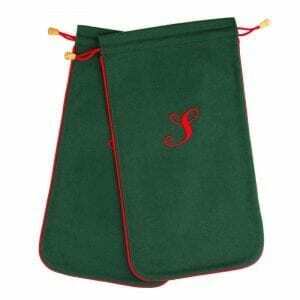 These Sponge Bags are an ideal present as they can be monogrammed. You can always mix and match them with the small sponge bag, the three sizes of clothes covers and the shoe bags. We have sourced the best possible materials for these sponge bags from manufacturers in England. The sponge bags are made for us in Dorset and embroidered there too. You cannot get more English than that! 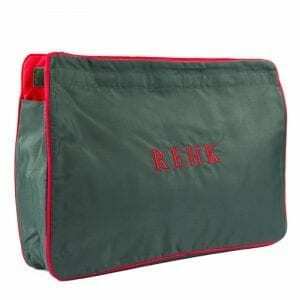 Made in a navy or dark green nylon, the sponge bags are lined in a red nylon and piped in red. With a Velcro closure instead of zips, they are made with a wide gusset to allow plenty of space and an inside divider. 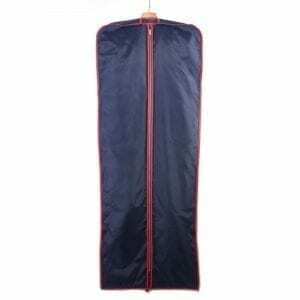 The sponge bags are available in two sizes – large and small. 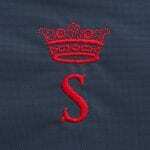 Each one can be individually monogrammed with Elizabethan style letters (approx. 2cm high) in a matching red thread. We have added the option for a coronet if required. The letters were designed by a calligrapher and the coronets were specially designed for us by the College of Arms. Please ask us if you require a different design embroidered and we will always try and assist wherever possible – details and prices on application. 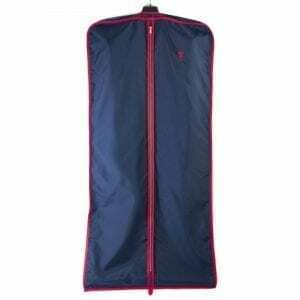 We offer a monogramming service for our collection of clothes covers, shoe bags and sponge bags. 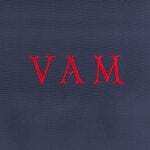 Each article can be monogrammed in red to match the binding or piping. Each article is individually monogrammed in Elizabethan style initials (approx. ¾” / 2cm high). 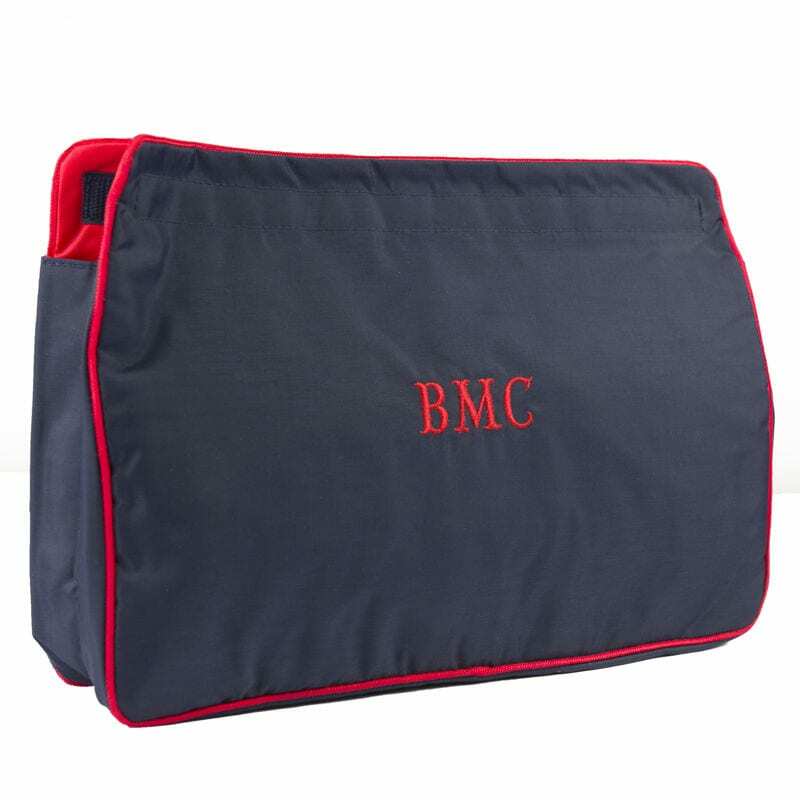 For the shoe bags only, they are monogrammed with a single Script style initial (approx. 2½” / 6cm high). 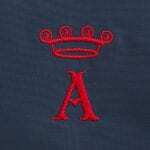 They can also be monogrammed with a coronet and an Elizabethan style initial placed beneath the respective coronet. 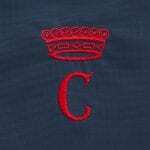 Our charge for the above monogramming is £6.00 per set of initials and £6 per coronet. 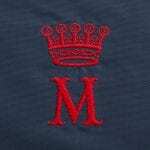 Please allow approximately 2 – 3 weeks for the monogrammed products to be despatched to you. During peak periods such as Christmas or other holiday periods, please allow extra time. If your order is for a specific date, please telephone or email in advance and we will endeavour to assist wherever possible. The letters were designed by a calligrapher and the coronets were especially designed for us by the College of Arms. Please ask us if you require a different design embroidered and we will always try and assist wherever possible – details and prices on application.